I love freebies especially if I don't pay a dime. Yes, I got this free VS mist for free when I received a coupon from VS thru mail. I don't usually open emails everyday but, last week I read every one of them. Guess what, VS sent me an email to claim this black purse worth $58 for free. The next day, I went to Merritt Island Mall and claim this black purse for free. There was no purchase required so, both items claimed are FREE. The black purse is a freebie exclusively given for Forever Angels card holder. I tell you what, half of the time I missed claiming the freebies from VS. I tend to forget. 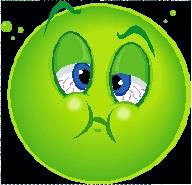 I know, my bad! I love this black purse and I think I am keeping it. Initially, I was thinking to give it to mom but, I bought her a purse and a wallet so; I guess she will be happy for the two items. Have you ever heard the music "Feels So Good" by Chuck Mangione? He is one of my favorite musicians. 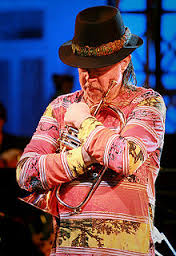 He is known as Jazz flugelhorn legend and I remember, a friend gave me a cassette tape while I was in high school. I listen to his music when I needed to relax my mind. Lately, as I was browsing Feels So Good in YouTube, one child played this song using a clarinet. What a lovely music! I admire children who plays musical instruments at young age. If they play saxophones, clarinet, and flugelhorn, they have great talents. Anyway, if you are looking for good synthetic clarinet reeds reviews, you can surely find it now. If you haven't heard the song Feels So Good, you know where to search it. Here's what I know, you heard this song once before. This great looking SUV is Ford Edge, one of the best ride that we have. When we went to Missouri for a one week vacation, we cancelled our flight and take the road trip instead. No regret! We enjoyed the long ride. Oh my goodness, the mountains in Tennessee are gorgeous. We stopped in one of the towns in this state to buy lunch in a Chinese Buffet. Yep, we pass by Illinois and it was fall season so; the colors of the leaves are already changing. We love this road trip and though it's tiring, the sight is just gorgeous. I am not sure where this place at but, we did pass by a lot of bridges. Our road trip started from Florida to Missouri. Going to Missouri, we traveled in three days and we stayed in two hotels in Tennessee and in Missouri right after St. Louis. From Florida, we crossed the states of Georgia, Tennessee, Kentucky, Illinois and finally reached Missouri by 1 PM on the 3rd day. Hubby and I truly enjoyed our trip and we plan to visit Missouri again. Among the states that I mentioned above, we are interested to visit Tennessee and stay there for few days. It was a rainy day in Orlando but, down here by the coast, the sun's trying to show up. It was a beautiful day to explore the beach in Cocoa or just hang out by the mall. As I gaze up above, I took a snap for this amazing display of clouds in the sky. The sky is fleeced with beautiful display of clouds. We went to Rusty's Seafood Bar and Grill Restaurant by Cape Canaveral area to meet our friends for lunch. It was the first time that I meet the parents of our friend and they are wonderful. Ron and I was already hungry so; we decided to dig in with the buffet while the rest ordered snow crab legs. We spent few hours reminiscing happy times. We don't usually take photos but, on this day we did and everyone's having fun. There was a newly opened Italian Restaurant in the area so; we thought of checking it out. We end up buying some doughnuts, cannoli, gelato and some fresh breads. Great tasting bread I must say. When we parted ways, hubby and I went to Merritt Island just to hang out a little bit and check their Christmas Decors. Hubby saw this Fiat and he loves it by the Macy's entrance. Well, I don't like to ride in smart cars , sport cars and Fiat is no exemption. He really has the plan to buy a Fiat though. I went to Victoria's Secret and pick up my freebies. Yap, these are FREE , no purchase required and this is worth $70. As we head back home, the sun was setting down from the horizon. It was a beautiful thing to see! Advance Happy Thanksgiving everyone. 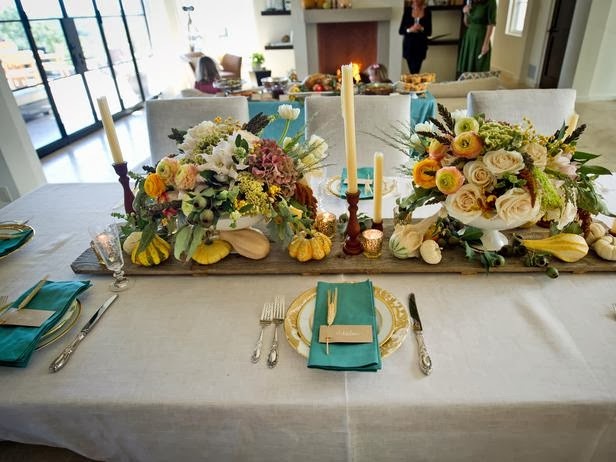 Were you able to find some cool ideas regarding the table setting arrangement for Thanksgiving? 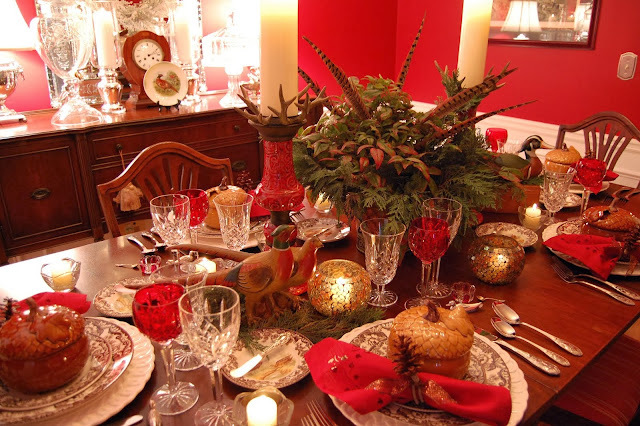 Well, if you are still searching for it, I already gathered 10 festive table settings that I found on the net. Before I begin though, let us all be reminded why we celebrate Thanksgiving. 2. 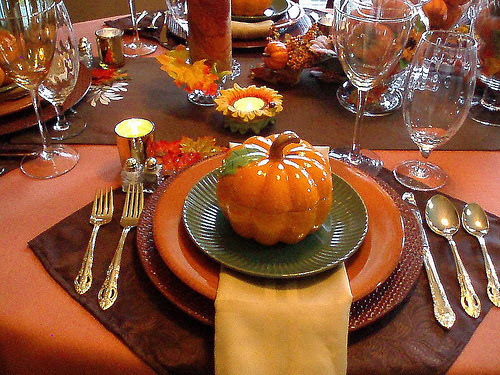 1621 Plymouth Thanksgiving is the birthplace of Thanksgiving holiday. 3. The First US President who declared Thanksgiving Day as a Holiday was Pres. Abraham Lincoln in 1863. 4. It was President Abraham Lincoln who declared that Thanksgiving Day will be celebrated every last Thursday of November. 5. We celebrate it to thank God for the blessings of good harvest and of the preceding year. 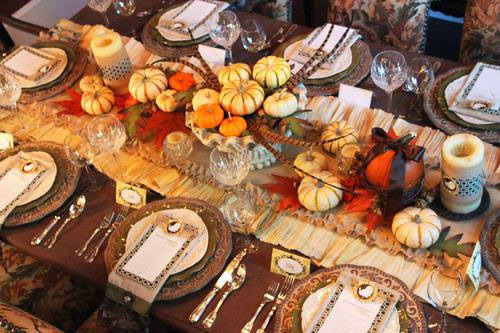 Now, depending on the number of guest that you have, you can always take an inspiration from any of these table setting arrangements. 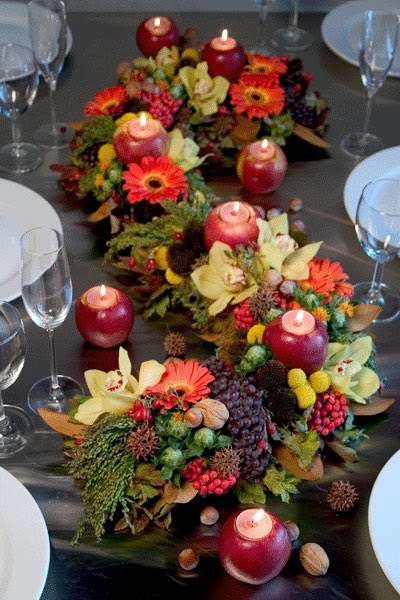 Make the centerpiece filled with beautiful flowers and different shapes. Look around in your garden and in your chosen vase, fill it with blooms. 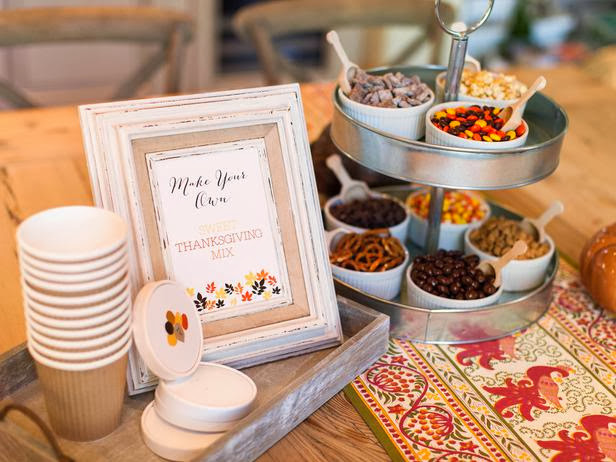 With the sprig of fall, you can use them too to spread colors on the table. 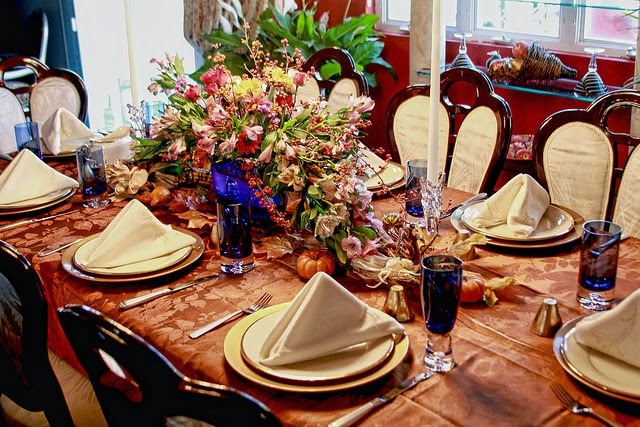 This is the perfect time to use those beautiful dinnerware and tableware after all, your family and friends deserve the best during Thanksgiving. 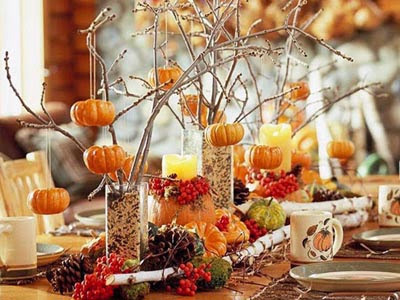 You don't need to spend so much to make your table look as festive as these. 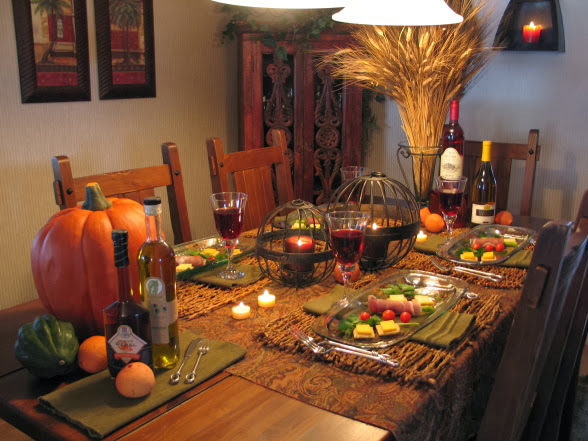 You can buy a dozen of gourds, splash different colors of flowers and add few candles. It will definitely make your Thanksgiving table as glorious as these. For now, I am sure you already have ideas. What do you think? Which of these are your inspiration? Thanksgiving is an American Tradition. After all, thanksgiving is all about family. All photos above are not mine. 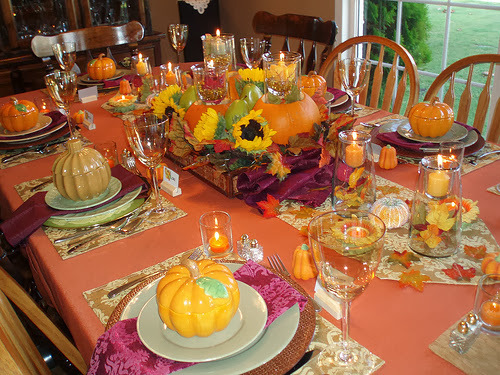 All credit goes to the photographer and owner of these amazing table setting arrangement photos..
7. Assistance to LPRs stranded overseas without immigration or travel documents, such as Permanent Resident Cards (Green Cards). USCIS and the Department of State will coordinate on these matters when the LPR is stranded in a place that has no local USCIS office. You can make an expedite request by contacting the National Customer Service Center (NCSC) at 1-800-375-5283. The NCSC will take a “service request” and forward your expedite request to the office with jurisdiction over the application or petition. You also have the options of 1). visiting your local office by scheduling an InfoPass appointment or 2). writing a letter to the local office or service center." Understanding the law is complicated that is why; when we need a legal opinion, we rely on the reputable expertise of a certified lawyer. 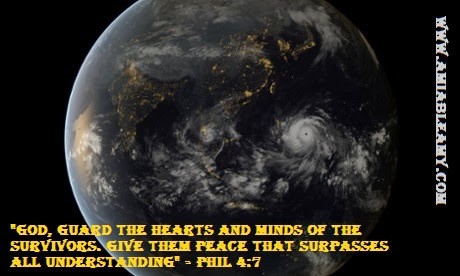 Recently, the Philippines was smashed with a super typhoon Haiyan causing a catastrophic destruction in the Visayas Regions in the country. On November 15, 2013, the USCIS released an information for Filipino Nationals who were impacted by the typhoon to avail the Immigration Relief Measures. You can get the full detail in the USCIS site. This is good news for Filipinos who are already US citizens or Lawful Permanent Residents for they can request to expedite the processing of their immigrant petitions for their immediate relatives in the Philippines. If you know somebody, please tell them to avail this Immigration Relief Measures intended for them. If in case they need the help from immigration lawyers, they can choose to do so as well. Good luck! 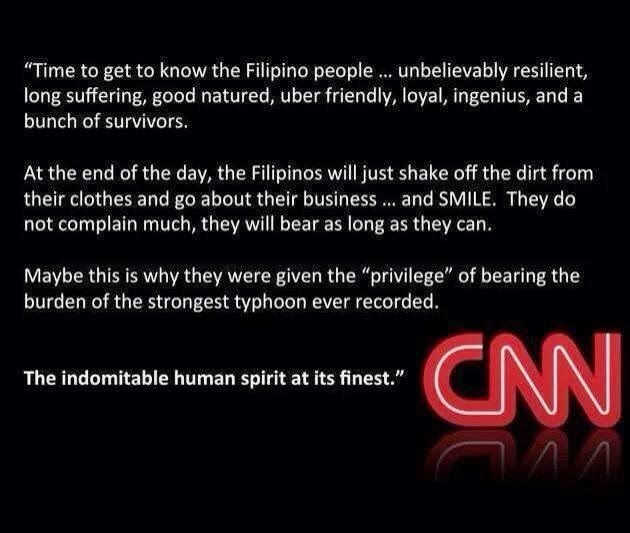 As my thought and prayers goes out to the victims of Typhoon Yolanda in the Philippines, life must go on. If we don't look forward, we will be miserable. Much as we ached for them especially for those whose love ones perished from the storm, we have to continue to work and to earn a living so that we have something to share to them. We should give and help them in anyway we can and pray for the best that it will reach them and will somehow lessen their burden. Yesterday, we went to Cape Canaveral to watch the #Maven liftoff to Mars. We live in the coastal area too down here in the Space Coast. My husband and I love living in the coastal area but, we know the risks. When we have hurricanes, even category 3, we have to leave and evacuate. We have evacuation signs here and most people living in Cape Canaveral, Merritt Island, Titusville and Port St Jon takes the evacuation warning seriously. This is Banana River along Cape Canaveral, so pretty and calm. Beyond few miles from here is the Atlantic Ocean. People came here for surfing. We have big waves from the Atlantic, perfect for surfing. Living nearby waters is beautiful but, when storm comes, we do not think twice. We have to leave. Too many died in the Philippines because they are not aware as to how damaging a storm surge could be. Storm surge was being reported in the news many times but, it was reported like an ordinary word. Most people in the area especially those living in shanties had no idea that a storm surge can do widespread devastation. In Biloxi Mississippi during Katrina, big building and casinos were like a toy smashed and toppled down. It was only category 3 hurricane compared to what hits the Philippines, a #SuperTyphoon category 5. I've never been to Leyte Philippines but, I bet the coastal areas are beautiful. It probably looks like these photos. When Hurricane Katrina hits Mississippi in August of 2005, the house of my father-in-law was gone because they live by the bayou. The water reached as high as the ceiling. They evacuated bringing only important documents. Right now, we will go back to Mississippi and will probably live there for many years. We will be buying property away from the beach. We were already looking for houses nearby our family. 8 years had passed since Katrina but, most of those badly hit areas remain vacant. If you visit Biloxi Mississippi, you can still see the vacant lots with flooring intact, buildings abandoned and more, the traces of the fury of the storm surge. 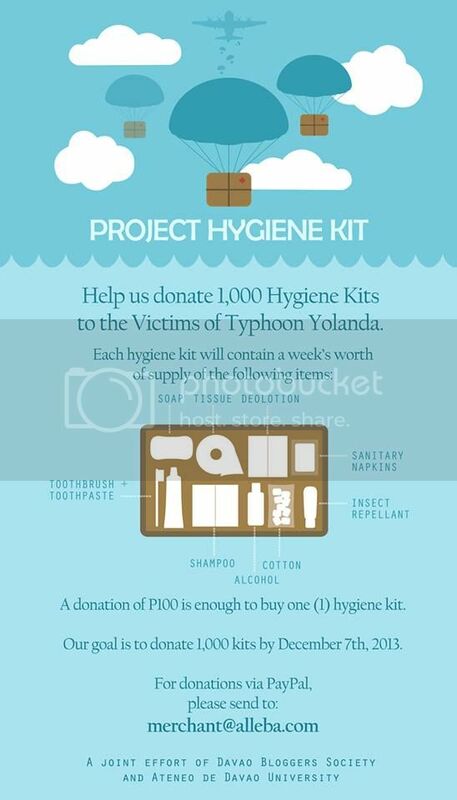 for the recipients, one for every P100 donated, to be inserted in each kit.You may also include it as message when sending your Paypal donations. even the wind and sea obey your voice. through Jesus Christ, our hope in the storm."